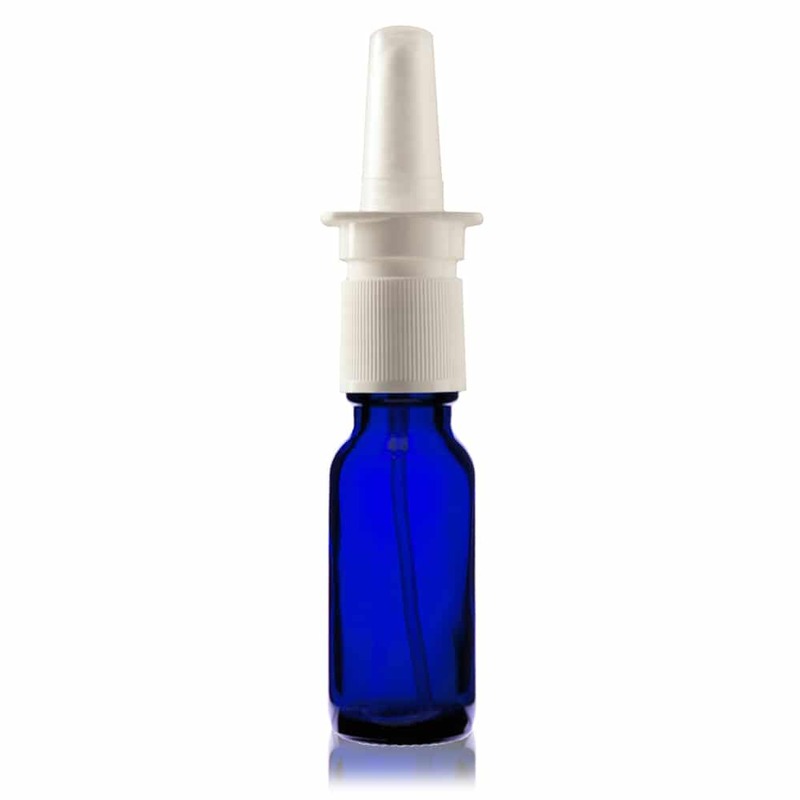 A glass refillable nasal spray bottle with a capacity of 10ml. Your choice of a Clear or Blue bottle. Includes a white pump spray nozzle for spraying.